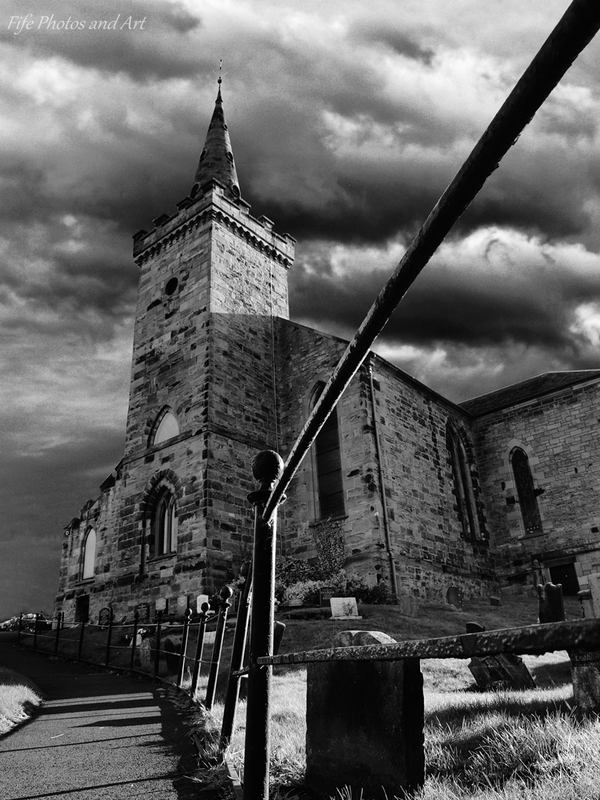 This entry was posted in Architecture, Fine Art Photography and tagged black & white photography, churches, cloudscapes, Fife, Kirkcaldy, landscape photography, photo editing software, photography, Scotland. Bookmark the permalink. Kirkcaldy is an odd place, there are some beautiful places, but also some not so pretty places – this church is right next to a small industrial estate on one side, and a beautiful park on the other side! Lol! I went to look at their wedding photo, but it just has Caithness Bros, 270 High Street, Kirkcaldy listed, that was obviously the photographer! Yes, it was in a church, and we stayed at the hotel where they had the reception. But I have no idea what the name of the hotel would be! We went in 2002 with my mother’s cousin. There aren’t that many hotels in Kirkcaldy, it would be an amazing coincidence if the hotel was the same one as we had our reception in – The Victoria Hotel – it’s fairly close to the railway station and the town itself. Oh it might have been that, I can still sort of remember the outside. My mom’s cousin has passed away, I will ask my aunt she might remember! I’ll find out if possible and let you know! Oh the visit in 2002 was not so sad, my mom passed in 1996 and we went back then, but the visit in 2002 was a holiday, my mom’s cousins invited my husband and I to have a holiday with him. It was nice, except he worked on a small military island Diego Garcio running the telecomms and he got run over by the lone bus on the island and passed away soon after that – not joking it happened! I love these Andy! The black and white is perfect for the ambiance. And Gimp is very cool, I’ve used it many times over the years. Great shots! Black and white here suits very much to the atmosphere! Thank you Ann 🙂 B&W certainly helps the generate an atmosphere when photographing churches, and generally most architectural photographs too. What lovely photos… black and white really suites the ambiance of the subjects here, Andy. I use Photoshop Elements, but I admit, I rarely use it other than to inscribe a watermark to photos. I wish I had the time to dabble in photo editing! Brilliant, Andy! Love the last one particularly – very dramatic. Thanks Jo 🙂 I was pleased with the last one too. Very interesting black and white photos. Nice! Well composed and nice tonal ranges. Lovely rich blacks and nice capture of all those rough, worn textures. Thanks Laura 🙂 Older churches and graveyards are always a pleasure to look at, and to photograph! I’ve always loved graveyards and cemeteries. I actually need to find time to explore some of the historic ones here. Have you visited any of the massive cemeteries in London? They are like cities of the dead they are so vast. Kensal Green is my favourite but I’ve also spent some time in the Islington one as my Great-Grandad is buried there. Fascinating places. I’ve not been to any of the London cemeteries Laura, but you are right about them being fascinating places. Sounds like you know north London reasonably well, I went to college in South London for two years, and lived in Guildford for 12 years, but regrettably I never actually visited any of the big graveyards. I’m not hugely familiar with north London. I just visited the cemeteries when we lived in Essex. 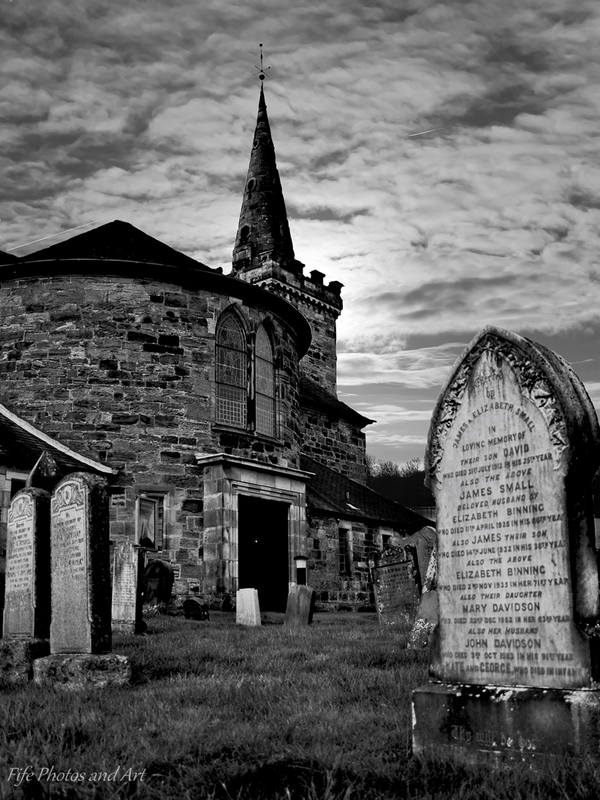 I actually visited the Islington one once we lived in Argyll as it took me a while to locate the grave I was after. My husband spent a few years of his childhood in Guildford. It’s a nice town. Parts of Essex are very nice, I have a cousin who lives in Romford, and my brother lived in Basildon for a few years in the eighties. I imagine it could take a very long time to locate a grave in some of these huge London cemeteries! And you’re right Laura, Guildford is quite a pretty town. The cemetery people were massively helpful and provided a map and a grave reference. The challenge was that nobody has tended the grave since probably the 1950s and it was overgrown and in the middle of a thorny thicket. I had to clear thorns with my bare hands to get near it. I should explain that many of the large cemeteries allow areas to go back to nature as wildlife reserves and no doubt it also saves money. I lived between Chelmsford, Basildon and Southend, right in that triangle. I ended up working in Colchester. I was thinking how a map would have been helpful, so it’s brilliant that the cemetery people provide one and are very helpful. It’s true what you say about the graveyards acting as nature reserves, in many areas they contain quite a few rarer species of invertebrate and flowers etc. I suspect if you had to clear brambles etc, then that was more for the saving money aspect of it! I hope you managed see what you wanted to in the end though. I really like the dark, dreamy and atmospheric look you’ve created with these images Andy, each one tells stories, just as a good picture should! fabulous, loving the depth! And of course seeing Scotland, ..thank You! good tip on GIMP, as I have older PS 11 and LR, but not the “NEW” subscription, which I will not do. Great to hear of alternatives. Excellent pictures! Eerie and peaceful place 🙂 How old is this church? The original church was established in 1649, but most of what we see now dates from 1788. Amazing! 🙂 I love visiting the old building, places and cemeteries. Yes it can be debunked. I believe in ghosts. I often watch the British TV show about paranormal. Striking photos! 🙂 I shall look out for Gimp. Perseverance is not my middle name so I might be shouting help soon 🙂 I’m pretty hopeless with software and do almost no processing. It’s just not my thing. Admiring of those who can. Beautiful! One of my favorite photographic subjects period. Also thanks for the software recommendations. I’ve heard of Gimp but not used it – will be checking it out! I love churches with rounded walls like this one. You’ve captured the photographs perfectly and the black and white post-production gives the images a timeless quality. 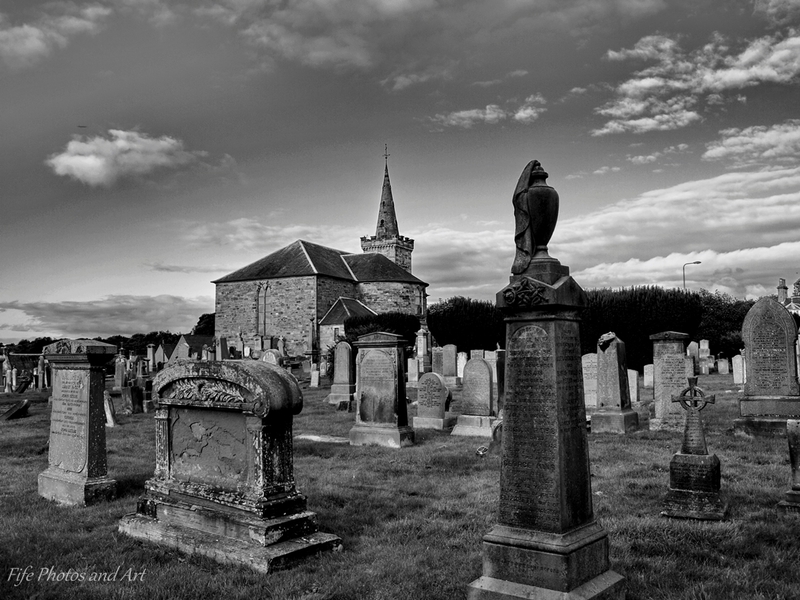 Thanks Karen 🙂 Old churches are one of my favourite subjects to photograph, I wish I’d been more into photography when I was living in Cornwall, it’s full of them 🙂 I find Fife a wee bit sparse on decent churches, but there are at least a few decent ones when you look closely.